Equipped With Greater Depth, Enhanced Iron resolution, Better target separation, and a Larger scan area compared to the Popular "Ace 200 & 300". 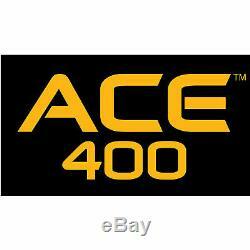 The ACE 400 includes a Higher, 10 kHz frequency to provide Better Sensitivity to Low and Medium conductivity targets, such as Gold and Lead. The detectors Frequency Adjust feature allows users to Easily toggle between slight frequency shifts to help eliminate interference from other detectors or power sources. 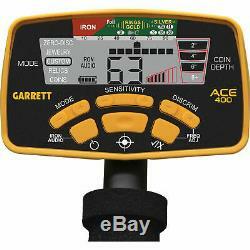 The New Garrett "ACE 400" makes it even "Easier" to find Coins, Jewelry, Relics, and Gold Nuggets Deeper! 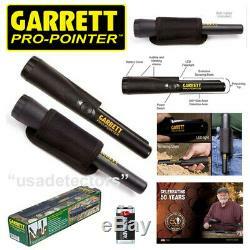 Please Check our Store for many other Garrett Metal Detecting item's we sell. NEW 8.5"x 11" PROformance DD SEARCHCOIL. 6 SEARCH MODES:ZERO-DISC, JEWELRY, CUSTOM, RELICS, COINS & PINPOINT. HIGHER 10 kHz FREQUENCY For BETTER SENSIVITY. DIGITAL TARGET ID: 0-99 FOR BETTER TARGET SEPARATION & ID. IRON AUDIO: ALLOWS USERS TO HEAR DISCRIMINATED IRON JUNK TARGETS SO YOU DIG LESS TRASH TARGETS. FREQUENCY ADJUST: HELPS USER'S TO ELIMINATE INTERFERANCE FOR MORE STABLE OPERATION. 8.5" x 11" DD COIL: COVERS MORE GROUND AND FINDS DEEPER TARGETS. CAMLOCKS: FOR INCREASED STEM STABILITY FROM SHAFT WOBBLE. ELECTRONIC PINPOINTING: TO SPEED TARGET RECOVERY. NOTCH DISCRIMINATION: TO MODIFY SEARCH PATTERNS. BATTERY CONDITION INDICATOR: SHOWS BATTERY LIFE REMAINING. PUSH BUTTON CONTROLS WITH ONE-TOUCH OPERATION. BETTER DEPTH WITH NEW DESIGNED FEATURES. DIGITAL TARGET ID: 0-99 TARGET SCALE. TARGET ID CURSER SEGMENTS: 12. SEARCH MODES: 5 Plus Pinpoint. AUDIO TONE ID LEVELS: 3, WITH PULSE WIDTH MODULATION AUDIO. SEARCHCOIL: 8.5" x 11" DD PROFORMANCE SEARCHCOIL. LENGTH: (ADJUSTABLE) 42" TO 51". 3 PIECE BREAKDOWN FOR CONVENIENT STORAGE. 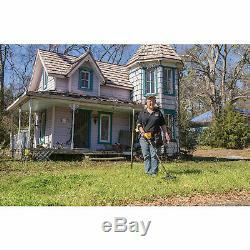 BATTERIES: OPERATES ON 4 "AA" BATTERIES INCLUDED. WEIGHS ONLY 2.9 POUNDS. 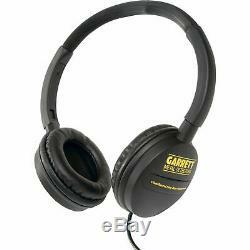 GARRETT CLEARSOUND EASY STOWE HEADPHONES WITH INLINE VOLUME CONTROL. 8.5" x 11" SEARCHCOIL COVER. PROPORTIONAL AUDIO/VIBRATION PULSE INDICATES TARGET. ALARMS INCREASE IN INTENSITY BASED ON TARGETS PROXIMITY. 360 DEGREE SIDE SCAN DETECTION AREA. LED LIGHT FOR LOW LIGHT USES. LOST PINPOINTER ALARM: EMITS WARNING CHIRPS FOR 60 MINUTES IF LEFT ON MORE THAN 5 MINUTES. AUTO OFF FEATURE AFTER 1 HOUR OF WARNING CHIRPS. 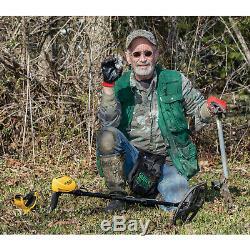 PATENTED SCRAPING BLADE FOR SEARCHING IN SOIL. 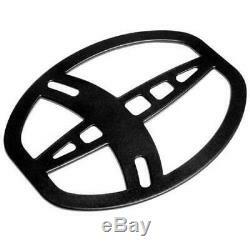 LANYARD ATTACHMENT LOOP MOLDED INTO OUTER SHELL (ATTACHMENT RING NOT INCLUDED). 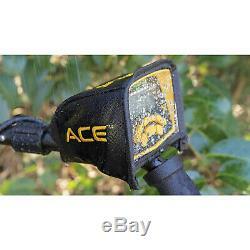 WATER RESISTANT: ENTIRE UNIT CAN BE RINSED/CLEANED UNDER WATER. 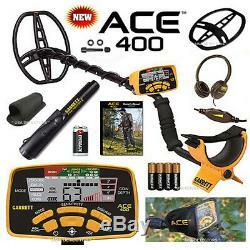 OPERATES UP TO 30 HOURS ON ONE 9 VOLT BATTERY (INCLUDED). WATERPROOF SEARCH COIL WOVEN BELT HOLSTER (INCLUDED). MEETS IEC 60529 IP STANDARDS FOR DUST & WATER PROTECTION. 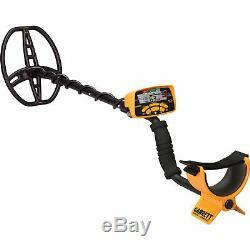 The item "Garrett ACE 400 Metal Detector With PRO-Pointer II & 3 FREE ACCESSORIES" is in sale since Monday, March 25, 2019. This item is in the category "Business & Industrial\Test, Measurement & Inspection\Test Meters & Detectors\Metal Detectors".